What is US President Donald Trump's new Afghan strategy? What are its key elements? More troops? No deadlines? Partnership with India? More pressure on Pakistan? Is it really "new" or just a rehash of earlier Bush and Obama era strategies? How will Pakistan respond to pressure? Has similar or greater pressure worked in the past? Is it likely to work this time? Does Trump administration have more or less leverage with Pakistan than Bush and Obama administrations? What are Pakistan's legitimate security interests in Afghanistan? Why does Pakistan believe India is using the Afghan soil to launch attacks in Pakistan? What is the way forward in Afghanistan? Can the US military defeat the Afghan Taliban? What about the emergence of ISIS in Afghanistan? 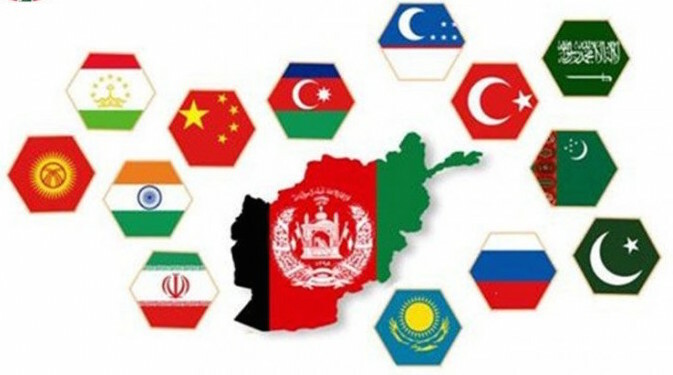 Do Iran and Russia need to be involved in addition to India and Pakistan to stabilize Afghanistan? What will a regional solution look like? The issue here is “Aspirations of a Nation”. Afghanistan has been a victim of wars, invasions and persistent attacks by Radical Islamic terrorism. The speech of President Trump echoes no more than the true sentiment of the majority of the Afghan people and this can be verified if one speaks to the many residents of the Bay area who are of Afghan origin. These folks are sick and tired of the Taliban wanting to impose their brand of Islam on what was once a secular place with great levels of freedom for people to go about their lives without being subjected to scrutiny and punishments from medieval laws. The same Afghan origin folks will tell you about the great help they have received from India and how their families back home are benefiting from the generous funding of over 200 schools, dozens of medical centers and even building of the parliament house. There are more than 16,000 Afghani students in India getting higher education and thousands getting other training. India continues to provide financial assistance with the cumulative running over $ 3.0 billion to nurture the aspirations of a Secular society to defeat the radicals. Yes, Afghanistan has large deposits of lithium and extracting these minerals requires expertise and skills which only a few countries possess and they will take the lead role in this exploration and mining operations. Mo: "The same Afghan origin folks will tell you about the great help they have received from India and how their families back home are benefiting from the generous funding of over 200 schools, dozens of medical centers and even building of the parliament house." Your Indian narrative is divorced from both the past history and the current reality in Afghanistan. Afghan society has deep ethnic divisions among Tajiks, Uzbeks and Pashtuns. All united in 1980s to fight Russian invaders. India supported Russia. After the Russians were forced out in late 1980s with US and Pakistani help, the Afghans splintered along ethnic lines with the Tajiks and Uzbeks forming Northern Alliance against Pashtuns. India, Iran and Russia supported Northern Alliance led by Ahmad Shah Masood. Then came 911 attacks and Northern Alliance gained the upper hand with US support as the Pashtun Taliban were driven out. Today, NA along with a few Pashtun Nationalists rules Afghanistan. Northern Alliance continues to receive support from India and its intelligence operatives in NDS help India attack Pakistan via proxies mainly the TTP. Pakistan postponed a visit by a U.S. acting Assistant Secretary of State, officials said, as small protests broke out against President Donald Trump’s accusations that Islamabad was prolonging the war in Afghanistan. The visit of Alice Wells, acting assistant Secretary of State for South and Asian Affairs, scheduled for Monday, would have been the first high-profile visit by a U.S. official since Trump’s Afghan policy speech on Aug. 21. “At the request of the Government of Pakistan, Acting Assistant Secretary Wells’ trip has been postponed until a mutually convenient time,” a U.S. Embassy spokesperson told Reuters in Islamabad on Sunday. Pakistan’s foreign ministry released a statement with similar wording. Neither side gave a reason for the postponement, but U.S. officials working in Pakistan have been on high-alert since Monday’s speech. Trump accused Pakistan of harboring “agents of chaos” and providing safe havens to militant groups waging an insurgency against a U.S.-backed government in Kabul. Pakistani officials responded by saying the U.S. should not “scapegoat” Pakistan and accused the American military of failing to eliminate militant sanctuaries inside Afghanistan. In the southern metropolis of Karachi, police fired teargas at protesters from a religious student group as they began moving toward the U.S. consulate building. If Pakistan had a conscious policy of allowing a “haven for terrorists” in its territory, U.S. pressure might persuade the leadership to change it. Because the current situation reflects complicated domestic politics and any shift would probably result in pushback from the powerful military, the changes Washington wants are not likely to happen. The United States has been putting pressure on Pakistan for decades, and neither tough words nor threats to cut off aid have worked for long. That suggests Pakistani leaders appear more afraid of a backlash from their society and military than they are of U.S. anger. This does not bode well for the Trump administration’s new Afghanistan strategy. Stabilizing Afghanistan will be much easier with a cooperative Pakistan, but that is unlikely to happen. Instead of making threats, U.S. policymakers would be better off working out whatever temporary arrangements they can with Pakistan, realizing the constraints of Pakistan’s leaders — and perhaps considering other options that do not rely on Pakistan. Allah has given us beautiful Pakistan for Muslims. No enemy can take it from us because our faith is strong just like our army inshallah. Please dua karo and we will be prosperous soon. Mo D. is presenting a faithful Indian version. It is incredible that India was not so fond of Afghan aspirations when Soviets invaded Afghanistan. India was solidly lined up with the invaders. India was alway, always, always, causing mischief in Afghanistan against Pakistan. Afghanistan was THE ONLY COUNTRY IN UN, that voted against Pakistan being a member of UN!! How delightful that would be to the ears of Vallabhai Patel! The only constant in Afghanistan sitation is the Indian mischief. It is in India's interest to not have peace along Pakistan Afghan border, and to have a hostile to Pakistan government in Kabul! "Your neighbor is your natural enemy and your neighbor's neighbor is your friend"
It brings together India-Afghanistan (against Pakistan), India-Japan (against China). I don't see the challenge at all. sukhi: "I don't see the challenge at all." Then you must be challenged yourself in more ways than one. But let me help you understand the gist of it. 2. Exaggerate US leverage with Pakistan.
" Over an extended of period, the U.S. has provided substantial support the Pakistan, primarily security related, but that’s been dwindling quite considerably over past years and is expected to dwindle further. And s a consequence, it’s not really a major point of leverage with the Pakistanis anymore. The U.S. is not providing billions of dollars any longer to Pakistan.... If you calculate the amount that has been provided over a long stretch of time, it’s billions of dollars. But on an annual basis now, it’s nowhere near that. It’s well under a billion dollars a year. By contrast, the Chinese provide much, much greater levels of support to the Pakistanis. And so, it’s quite notable that the Chinese have come out today, giving a boost of support for the Pakistanis." "But, you know, it’s not that there’s no leverage on the Pakistanis. But the Pakistanis are not going to change their perception of their own national security interests based only on American pressure. There has to be something that attracts the Pakistanis to cooperate in a positive way with the United States..... one of the key missing elements of what the president announced last night is any semblance of a political strategy for Afghanistan, a political end game in Afghanistan that could bring stability to the country and that could give the Pakistanis and other regional players an opportunity to see the potential for their own interests to be satisfied. " NBRX: "If you watch the entire RUSI program he is comes out putting much blame on pakistan"
You are absolutely wrong. I know because I have watched the full version. Watch the entire 1 hour 8 minutes of it by clicking on the following link. Over the past few months, India has changed its attitude abruptly on several issues. It is as Prime Minister Narendra Modi is trying to sabotage his rapprochement with China and Pakistan and to create artificial conflicts. For William Engdhal, this shift would be inspired by Washington and Tel Aviv. US President Donald Trump’s criticism of Islamabad for America’s military failure in Afghanistan has ruffled Pakistan’s feathers. The country’s top civil leadership and military commanders snubbed Trump’s allegations with one voice amid street protests against the American leader in different towns and cities of the country. The blistering reaction from Pakistan has apparently prompted the American officialdom to pacify the frayed tempers. The Trump administration is learnt to have approached Pakistan to allay concerns and convey a possible change in policy. “The two countries are expected to engage at a top level to talk out the contentious points,” a source told Daily Express. US Ambassador in Islamabad David Hale has swung into action for damage control exercise. He met National Security Adviser Lt Gen (retd) Nasser Khan Janjua on Thursday to clarify that that President Donald Trump had not blamed Pakistan for the failure in Afghanistan. He also attempted to assuage rampant fears in the Pakistani officialdom on an enhanced role that Trump’s new strategy envisages for India in Afghanistan. Lt Gen (retd) Janjua told the US envoy that creation of competitiveness in a campaign and alliance is counter-productive. “We should not go that way,” he cautioned. Highly credible sources told Daily Express that the US administration has started poring over how to tweak the Afghan policy in order to pacify resentment in Pakistan and address the country’s objections. And the same has been conveyed to Islamabad through diplomatic channels. Two key global players China and Russia have already rejected Trump’s strategy for Afghanistan and beyond and opposed the American move to pile up pressure on Islamabad. Pakistani officialdom is clear that the country can bank upon Beijing and Moscow instead of Washington. Trump’s policy has clearly divided the stakeholders in two blocs – one comprising Pakistan, China, Russia and Iran; and the other comprising the United States and India. More countries are expected to join the first alliance, according to sources. Officials at the Foreign Office say Pakistan is convinced that Trump’s new strategy has failed to garner support in the international community. This sort of analysis by Indian media indicates similarly the vibrancy of Indian diplomacy and the reason why they are successful. On the other hand, Pakistan's diplomacy is a failure. Pakistan fails to understand all the intricacies in a bilateral or multilateral relationship because Pakistan only sees things from a security standpoint - but that is to be expected because a dominant military limits space for anything else. The very next article in the same magazine is about Bangladesh overtaking Pakistan in GDP per capita in nominal terms. A first! NBRX: "The very next article in the same magazine is about Bangladesh overtaking Pakistan in GDP per capita in nominal terms. A first! " Last month revealed a remarkable turnaround. Bangladesh’s GDP per person is now higher than Pakistan’s. Converted into dollars at market exchange rates, it was $1,538 in the past fiscal year (which ended on June 30th). Pakistan’s was about $1,470. Strange as it may sound, Bangladesh jumped ahead because of an advance in Pakistan. On August 25th Pakistan released the results of its census, updating earlier population estimates. They showed that the country has 207.8m people, more than 9m more than previously thought. It may now have the fifth biggest population in the world, surpassing Brazil’s. But the new count also lopped 4-5% off Pakistan’s GDP per person, the arithmetic consequence of revealing so many more people. A caveat should be noted. A dollar stretches further in Pakistan than in Bangladesh because prices in the former tend to be lower. So Pakistan’s $1,470 per person actually has more purchasing power than Bangladesh’s $1,538. Pakistan latest census 2017 says the country's population is 207.77 million, about 8.08 million or 4.04% more than the estimate of 199.71 million in Economic Survey of Pakistan 2016-16 released in June 2017. The top diplomats from China and Pakistan took swipes at President Donald Trump's newly unveiled Afghanistan policy on Friday as they called for new talks with the Taliban to resolve the 16-year conflict. Pakistani Foreign Minister Khawaja Asif's first trip abroad to Beijing this week appeared to highlight how ties between the two all-weather allies have grown even closer while Pakistan's critical relationship with the U.S. is disintegrating amid mutual recriminations and distrust. Wang and Asif announced that China, Pakistan and Afghanistan will hold a new series of three-way talks later this year in China to push forward settlement negotiations with the Taliban while the U.S. doubles down on its military campaign. Trump infuriated Pakistan last month when he accused Islamabad of providing extremists safe haven and threatened to withhold military aid. He further raised alarms in Pakistan when he raised the prospect of recruiting archrival India into the U.S. strategy in Afghanistan. U.S. officials said this week that $225 million in military aid for Pakistan have been suspended while about 3,500 additional troops will head to Afghanistan to reverse the Taliban's battleground advances and gain leverage in negotiations. "It's our firm view that there is no military solution in Afghanistan, the focus should be on a politically negotiated settlement," Asif told reporters in Beijing. "China is playing a very constructive role in this regard." Pakistan has repeatedly rejected U.S. accusations that it is abetting groups like the Taliban-linked Haqqani Network, a position that China has backed. "The government and people of Pakistan have made huge sacrifices in the fight against terror for everyone to see and the international community should recognize that," Wang said. The two ministers presented a closely unified front just days after China handed Pakistan an unexpected diplomatic setback at the BRICS economic summit in Xiamen. On Monday, China joined several nations to declare the Pakistan-based militant groups Lashkar-e-Taiba and Jaish-e-Mohammad as terrorist organizations, in a move that was praised by India and the U.S.
Asif did not address the terror designation on Friday but was quoted by Pakistani media before arriving in Beijing as saying that it should not jeopardize bilateral ties. Rather, Pakistan should put its "house in order," he said. The Trump administration is considering dropping Pakistan as an ally as it examines tough measures to quell more than 20 terrorist groups it says are based in the country. Officials familiar with the Pakistan prong of Washington’s new “AfPak” strategy — which involves an open-ended commitment in Afghanistan and praise for India — say it has yet to be fleshed out. But they have plenty of levers. President Donald Trump last month promised to get tough on Pakistan, accusing it of “housing the very terrorists that we are fighting”. It was the most public breach yet in an often rocky relationship. “No US president has come out on American national television and said such things about Pakistan,” said Husain Haqqani, former Pakistan ambassador to the US. The administration has already put $255m in military aid on hold after Mr Trump announced the policy shift. It is eyeing an escalating series of threats, which include cutting some civilian aid, conducting unilateral drone strikes on Pakistani soil and imposing travel bans on suspect officers of the ISI, the country’s intelligence agency. It could also revoke Pakistan’s status as a major non-Nato ally or designate it a state sponsor of terrorism. The latter options would limit weapons sales and probably affect billions of dollars in IMF and World Bank loans, along with access to global finance. “Thinking of Pakistan as an ally will continue to create problems for the next administration as it did for the last one,” Lisa Curtis, former CIA analyst who now leads South Asia policy in the National Security Council, wrote in a joint report with Mr Haqqani earlier this year. Ms Curtis, who works closely with the state department, believes the Obama administration “erred” by relying on personal ties and aid packages to try to change Pakistan’s behaviour. Relations are expected to take a further blow from US efforts to forge closer ties with rival India. “We need to respect and trust India — they have not leaked nuclear secrets or shared sensitive nuclear technology with rogue countries,” said Tim Roemer, former US ambassador to India, a reference to Pakistan’s nuclear proliferation. Pakistan prime minister Shahid Khaqan Abbasi said this week it is “unfair” to blame his country for troubles in Afghanistan, adding that the US should have greater respect for its efforts to combat militancy. Ryan Crocker, former US ambassador to Pakistan in the wake of 9/11, says Pakistan resents the wild oscillations in support from the US. “They went from our most allied of allies to our most sanctioned of sanctioned,” he said, recalling that the US worked with Pakistan to defeat Soviet Russia during the 1980s Afghanistan invasion but, once it had won, cut aid and imposed sanctions over its emergent nuclear programme. Fresh from pulling the Democratic Party leftward on health care, Bernie Sanders wants to do the same on geopolitics. The independent socialist senator will use a Thursday speech at Westminster College in Fulton, Missouri—where Winston Churchill gave his famous “Iron Curtain” address—to catalyze an intra-progressive debate on foreign-policy principles. It’s a speech likely to make waves. Like U.K. Labour leader Jeremy Corbyn before him, Sanders will call the war on terrorism a “disaster,” The Daily Beast has learned. “The Global War on Terror has been a disaster for the American people and for American leadership,” Sanders will say Thursday in perhaps his biggest foreign-policy speech to date, according to an excerpt seen by The Daily Beast.